MQT Global > Blog > Consultancy > How To Measure And Analyze Your Digital Advertising Campaign? Digital marketing campaigns are the rapidly growing force that many businesses have invested in to boost their brand awareness, generate quality traffic and leads and increase sales. The significance of an effective digital advertising campaign cannot be ignored in helping businesses achieve digital marketing objectives. To commence and implement a digital advertising campaign is not the main challenge. Perhaps the most challenging part is measuring and analyzing the success of these campaigns. A critical analysis of these campaigns is crucial to judge the effectiveness of the marketing and to check the return on investment (ROI) of the advertising initiatives. In order to measure the success and performance of the advertising campaigns it is important that the business lays out its campaign goals clearly. Setting campaign goals allows business to refine or work on certain metrics that provide indicators of good performance. The goals of the digital advertising campaigns differ from business to business. They help judge whether the campaigns that you invested in, were a success or a failure. Traffic metrics are effective tools through wish the success of brand awareness campaigns can be analyzed. Traffic meters include clicks, impressions and user engagement. Monitoring increase in traffic: If an advertising campaign generates traffic it determines that the campaign was successful in both attracting and engaging the users through creative advertisements and leads. Traffic can either be generated through paid sources or direct visits by the users. 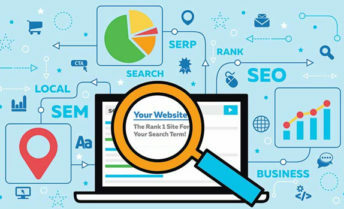 While traffic generated through paid sources is expected since that is what businesses are paying for, it is important that any increase in branded search and direct visits by users are also monitored. Analyzing click-thru-rate: Also known as CTR, click-through-rates determines how often or how many times users “clicked” your ad compared to the number of times the advertisement was viewed to them. For instance, if your business’s digital advertisement was shown to users and one user “clicks” it, then it makes a 1% CTR. Through CTR, the effectiveness of your advertisement targeting is measured. Low volumes of CTRs indicate that your digital advertisement is not reaching the right audience or is lacking in something that fails to compel users to “click” your ad. High CTR indicate that your advertisement has successfully reached the right targeted audience and your brand awareness is getting a boost. Conversion Metrics are virtually connected with Return On Investment, therefore they should be analyzed critically. It is recommended to set up a conversion tracking to measure conversions and clicks. Conversion rate: This is the rate at which users make a ‘conversion action’ on the website that includes users making a purchase, completing a quote form, making a phone call or making query etc. What conversion action are valuable vary from business to business. By monitoring and closely analyzing the conversion rates determines how effective the advertising campaign was in convincing users to make a desired conversion action. Strong conversion rates are the indication that the campaign has successfully targeted the right audience and they are interested in what you have to offer. Weak conversion rates are the indication of users encountering problem in attempting a desired conversion action. The problem maybe a misleading or ineffective advertisement or issues with your website’s landing page. Cost per Conversion: It is the aggregate cost of the campaign, divided by the number of users who attempted a conversion action. It is the cost per acquisition. Cost per conversion enables businesses to understand and plan how much they have to spend in order to obtain a lead or customer. Conversion Value: All conversions do not carry the same value. Different types of products and services attract different customers and have different price rates. By identifying the conversion value with your digital marketing campaign enables you to determine how campaigns able to attract customers with high conversion values. ROI is the most critical key that businesses use to analyze the overall success of their digital marketing campaign. Through ROI, the business’s profit on investing in advertisement campaigns is measured. To be able to accurately calculate ROI, it is important that the conversion metrics are tracked successfully. Digital advertisement is not as simple as we think it is. But by having a good understanding and a firm grasp on the fundamentals discussed above, you can successfully measure and analyze the effectiveness of your digital advertising campaign. Contact us at MQT Global for effecting Digital campaign.